Portofino Tile is an independent, local and owner-operated bathroom remodeling contractor. Owner and industry expert Bob Princiotta has been a construction contractor for more than 30 years. He started his first bathtub refinishing business after college in the metro-Boston area, which quickly expanded to include tile installation and bathroom remodeling. To meet the needs of his customers, he became a licensed general contractor. 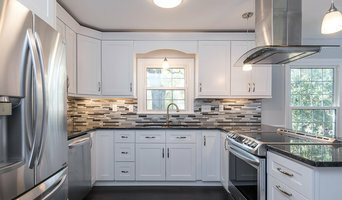 When Bob relocated to the Triangle area in 1992, he chose to specialize in tile and bathroom remodeling – employing a business model that provides the design, sale, installation and support of every customer’s unique tile and bathroom remodeling project. Portofino Tile has grown into a thriving Triangle-area business having completed more than $12 million in projects to-date. Our 3,000 sq ft showroom collection offers bath, and tile products from an array of manufacturers. Our skilled craftsmen will complete your renovation quickly, efficiently and correctly the first time. Bull Restoration can professionally paint your existing cabinets and build any additional cabinets to help customize the final design. Call us today with your project idea, and we'll work up a custom quote for you. 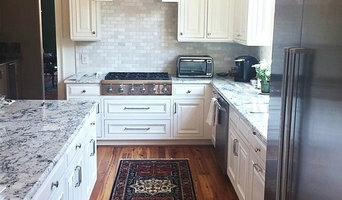 We've been providing fine cabinet finishing in Wake County since 1992. We are locally owned and operated, with a small staff of highly professional and skilled craftsmen. We offer a 100% Customer Satisfaction Guarantee that your job will be done on time, the right way, with adherence to the highest quality standards and with competitive pricing. The Kitchen Cabinet Specialists - We Treat Your Cabinetry Like Fine Furniture!